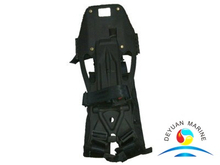 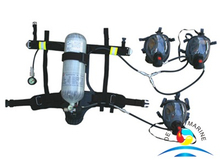 SCBA breathing apparatus,also call self-contained breathing apparatus or compressed air breathing apparatus (CABA).It is widely used in fire-fighting,chemical industry,fired boat etc. 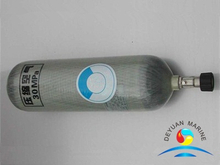 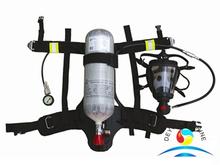 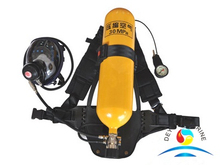 Main components of our SCBA breathing apparatus are a high pressure tank in 5L,6L,6.8L,9L capacity.Pressure tank can be steel or canbon fiber composite cylinder. 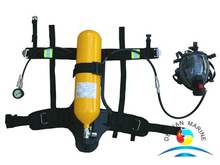 a pressure regulator, and an inhalation connection (mouthpiece, mouth mask or face mask), connected together and mounted to a carrying backboard. 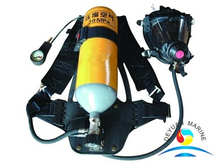 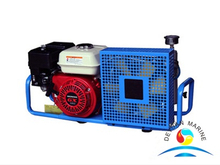 If you are in need of self-contained breathing apparatus,CONTACT US,you will get the best quality products and a reliable best partner.